Don't miss this adorable Key West style cottage in beautiful Gulf Harbour Yacht & CC!! This 3 bd/2ba w/2 car garage home is located in quaint Sagamore Village with only 29 total detached villas. Lots of green space and in fact, this property is located at the end so there's a large landscaped area on one side...no neighbor! New tile floors throughout except in the bedrooms. 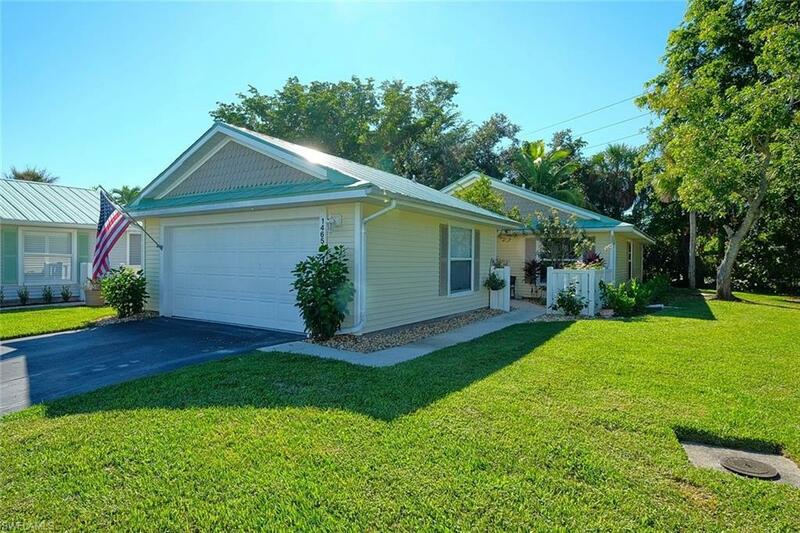 Upgrades include 2 skylights in living room, kitchen cabinets, granite countertops, appliances, A/C, bathroom cabinets, lighting, fans, and enclosed lanai with acrylic windows for year round comfort. There is private patio right outside the kitchen sliding door..perfect for grilling. Community has just recently upgraded the landscaping and pool area for lots of get togethers with the wonderful friendly neighbors. Condo fees include INSURANCE (FLOOD TOO)! Minutes to Ft Myers, Sanibel and Captiva Beaches, shopping, dining, and RSW Airport. YOU WILL LOVE THIS COMMUNITY! !